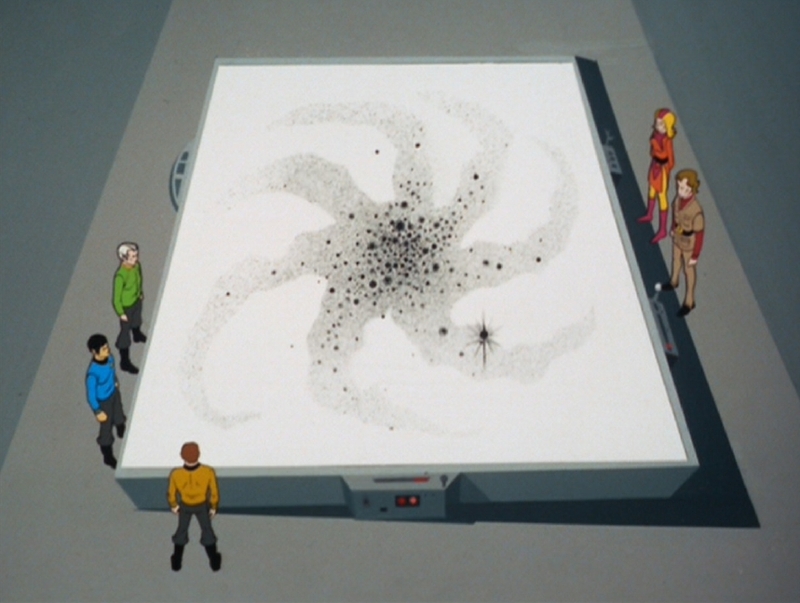 Animated STAR TREK - "The Counter-Clock Incident"
While transporting Commodore Robert April, the U.S.S. Enterprise's first captain, and his wife to Babel, the Enterprise plunges through a nova and into an alternate universe where everything is backwards, and the crew begins to grow younger at an accelerated rate. PSA epilogue for "The Counter-Clock Incident"
"The Counter-Clock Incident" was the last episode of the Animated series. This episode was written by Fred Bronson (pictured) using the pseudonym John Culver. Fred Bronson was not only the writer (as John Culver), he was the NBC publicist assigned to the series. A year earlier, he was the publicist on Gene Roddenberry's "The Questor Tapes." As a result of working on these two projects, Bronson introduced his friend Susan Sackett to Roddenberry -- and in 1974, she was hired as his secretary (and later became his executive assistant). Fred Bronson later collaborated with Susan Sackett on two scripts for the STAR TREK: The Next Generation, series. These were "Ménage à Troi", and "The Game". Brannon Braga also worked on the script for "The Game." This episode finally established that the first captain of the Enterprise was Robert April. Also his wife Sarah April was the Enterprise's first ship's doctor. The animated series was not considered canon by Paramount and could not be included in Michael and Denise Okuda's reference books. However, they made an exception in the case of "The Counter-Clock Incident" because of Captain Robert April's importance to the STAR TREK timeline. So, Captain Robert April is mentioned as the Enterprise's first commander in their STAR TREK Encyclopedia and both editions of their STAR TREK Chronology. Karla Five's planet in the alternate universe was called Arret. Spelled backwards it is Terra, a common term for our own planet Earth. This episode contained a slight chronology error. In an early scene, McCoy says after giving Sarah April a tour of sickbay, "Jim, I didn't realize how many of the tools I use in sickbay were designed by Sarah." To which Sarah replies, "As the first medical officer aboard a ship equipped with warp drive, I'm afraid I had to come up with new ideas all the time." This clearly can't be true, since the Bonaventure, not the Enterprise was the first starship with warp drive installed. She must have meant something like she was one of the first medical officers aboard a ship with advanced warp drive installed. Robert April was the name of the starship captain in Gene Roddenberry's first proposal for Star Trek, in 1964. In this episode, Karla 5's ship goes warp 36. In the re-calibrated warp scale of the Next Generation era this speed is warp 9.99545 - just barely below the warp 10 limit. There is a page in this site that focuses on Karla 5's Ship that featured prominently in this episode. 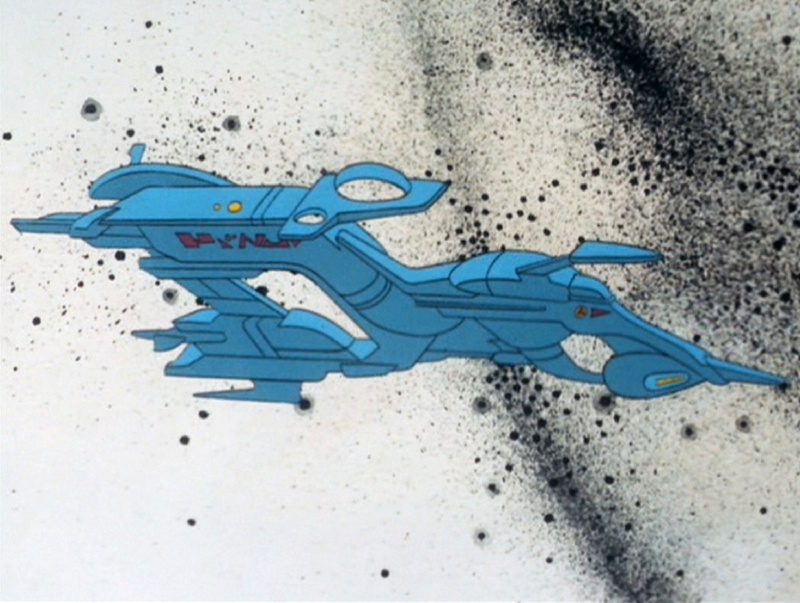 The stars Beta Niobe and Minara were mentioned in this episode as having recently gone nova. Beta Niobe was Sarpeidon's sun, and went nova in 2269 in the original series episode "All Our Yesterdays." Similarly, Minara went nova in 2268 in the original series episode "The Empath." A visitor to this site submitted a question regarding this episode. I obtained an answer directly from the episode's author, Fred Bronson, who is a friend of mine. The question and its answer is given on the Questions & Answers page. Karla Five was a scientist from the alternate antimatter universe planet Arret. Her people aged backwards and so her son, Karl Four, looked much older than she was. The story concept of members of the ship's crew growing young was used again on the sixth season STAR TREK: The Next Generation episode "Rascals". This idea of a race of humanoids who are created "old" and who proceed to grow young, was used again in the April 1996 STAR TREK: Voyager episode "Innocence". 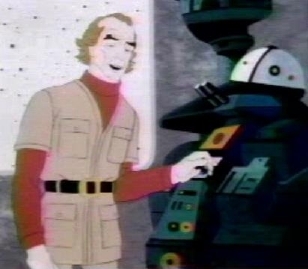 This was one of six episodes not directed by Hal Sutherland, it was directed by Bill Reed. "The Counter-Clock Incident" was novelized by Alan Dean Foster in Star Trek Log Seven published by Ballantine Books in June 1976. The entire book was devoted to this one episode.